The digital transformation of insurance carriers started in 2015, really took off in 2016, and will be mainstream by 2017 and beyond. And FinTech is coming to represent technologies that are disrupting traditional financial services, including mobile payments, money transfers, loans, fundraising, and asset management. 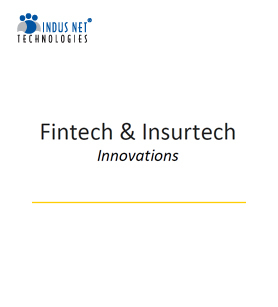 Know about some top innovations in Fintech and Insurance sector.